DNA has long been held as the gold standard of evidence, and it has led to countless convictions as well as many notable exonerations. As our technology continues to improve, so too does our ability to use DNA to solve cases. 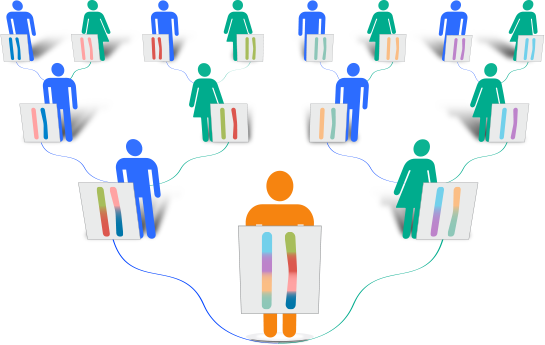 Familial DNA searches are the next frontier in evidence, and while a precise DNA match is still necessary for a conviction, family DNA matches allow for faster identification of suspects and are, in effect, building a better mousetrap. Current scientific evidence points to each of us having about 20,000 genes which make us who we are – everything from height to hair color. We get half our genes from our mothers and half from our fathers. These genes are encoded in our DNA and can be used to identify members of the same family. When police find DNA evidence at the scene of a crime, they may not have an exact DNA match in their database – particularly if the perpetrator has never commited a crime before, or hasn’t given a prior DNA sample to police. The next step in the search is fast becoming a search for near-DNA matches, this helps law enforcement locate the people whose genetic makeup is most similar to the sample they found. The more genes that can be matched from the DNA sample, the more likely the person is a relative of the perpetrator. This gives police a place to start. They go out and interview the person who was the closest match, and work to find their suspect from there. There are several ethical issues surrounding the matching of a family member’s DNA to a crime. The first is that police are literally investigating people who are innocent; their DNA wasn’t found at the scene, only that of a likely relative. The New York Civil Liberties Union in particular has fought against allowing the use of family DNA searches to solve crimes. Despite their objections, the New York State Commission on Forensic Sciences voted to allow familial searches back in 2009. There have also been plenty of cases where DNA was mishandled, resulting in either ruining the evidence or even in wrongful convictions. Going one step further and analyzing DNA from people who weren’t even at the crime scene (especially if the initial data was corrupted) can be like jumping down a rabbit hole which results in wasted time, money and manpower. Finally, privacy (a rare commodity in today’s digital age) is also a concern. Sites like Ancestry and 23Me contractually reserve the right to turn any DNA samples you give them over to the police. You may have taken that sample to learn if you were related to Christopher Columbus, but it could one day be used to help find and convict your cousin, who was accused of robbing a convenience store. Despite concerns, family DNA searches are growing more widespread. Each state has the option to decide on the legality of the technique and so far Florida, New York, California and Colorado have all made it legal. It is in use within other states as well, despite the fact there are no laws on the books for those states yet. The only state which has officially banned the technique is Maryland. There is no question family DNA testing works to identify suspect. There are several famous cases which would not have been solved if police had not been able to locate a close relative of the perpetrator. Perhaps the most publicized case involving a familiar DNA search was that of Lonnie David Franklin Jr., (a.k.a. 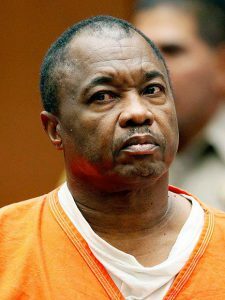 The Grim Sleeper) a serial killer who murdered over a dozen women in Los Angeles and who managed to evade police for over a decade – until they were able to partially match his DNA against his son’s sample in their database. Franklin was sentenced to death, and familial DNA searched proved their efficacy. Only time will tell how many states will enact laws allowing this technique, despite the noted ethical concerns. Balancing safety and privacy is never an easy task. Familial DNA searches aren’t the only arena where tough decisions must be made. Electronic privacy and even the chemicals present on your phone can present a level of data to police that most people would be stunned to learn existed.